What can we find in Orange County on a budget of $6 million? We’ll find out! 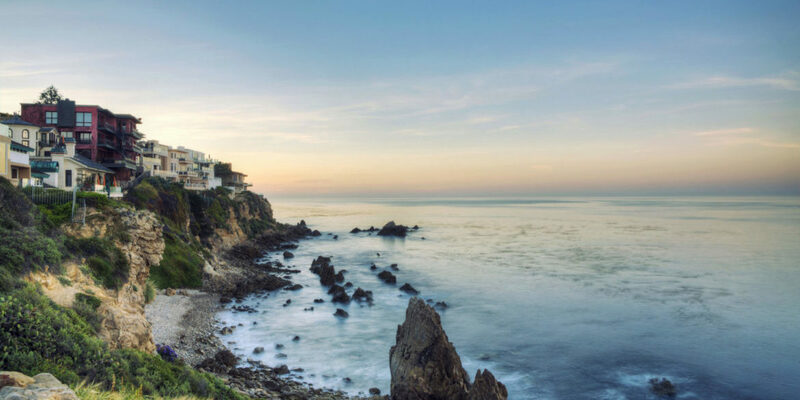 This incredible oceanfront home is a rare find, located in South Laguna Beach, Thousand Steps Beach. 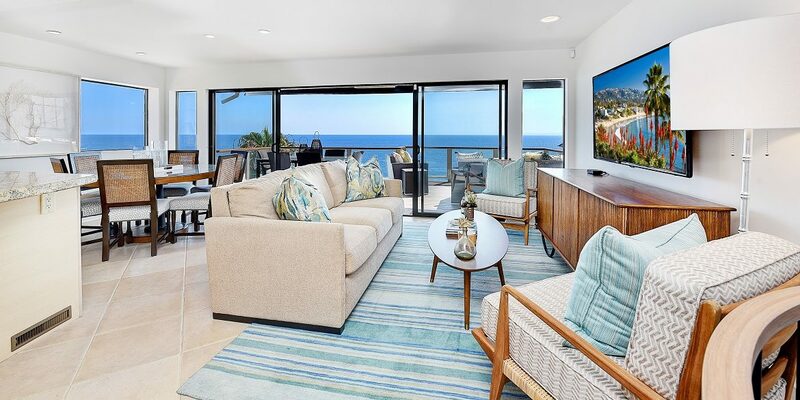 The three-bedroom, three-bathroom home has unobstructed views of the private beach below, the ocean and Catalina Island. The exterior was recently renovated in a modern cottage style with a glass paneled garage door and new awnings. Indoors, the home is open and airy. No detail is overlooked with built-ins, a fire place, and rustic shiplap ceilings. The gourmet kitchen has plenty of prep space and looks out onto the ocean. 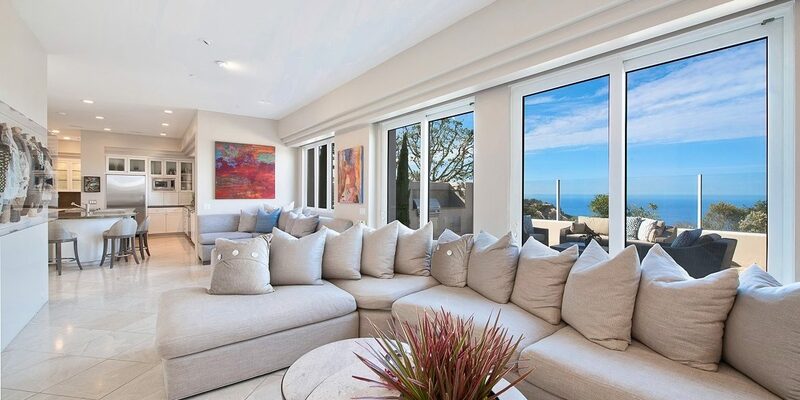 Every room in this home is luxurious, but comfortable and relaxed, perfect for a beach home. There are also several patios and outdoor seating areas to enjoy Southern California’s perfect weather. Located in the private, gated Big Canyon community of Newport Beach, this spacious six-bedroom, six-full-bathroom and one-half-bathroom property is mere miles from the beach and Balboa Island. 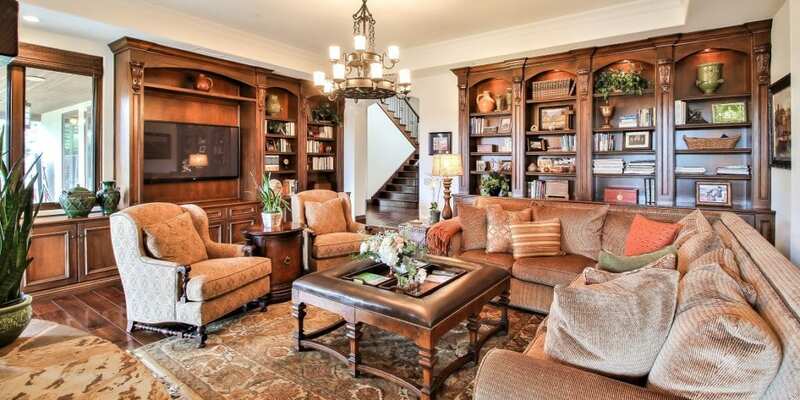 The interior has great features, like dark hardwood floors, and rich doors and cabinetry/built-ins. The kitchen is outfitted with a large island, marble countertops and luxurious gourmet appliances, fit for any aspiring chef. There is also a temperature-controlled wine room, music/library room, and craft room. In the backyard, you’ll find great seating areas, a built-in barbecue and an outdoor fireplace. This modern Monarch Point home has nearly 6,600 square feet of living space with four bedrooms, four bathrooms, and one-half bathroom. The three-level home is designed to feel spacious and open while showcasing the breathtaking ocean views. The first level features a spacious kitchen, dining area, and living spaces. On the second floor, the master retreat includes a separate seating area and fireplace, private balcony, walk-in closet and en-suite bathroom with sauna, massage area and soaking tub. The backyard has a built-in barbecue, pool, spa and incredible ocean views. The amenities include a wine room, a garage large enough to accommodate at least six cars, a storage room and attached workshop.